Comparing the flood stories in the Gilgamesh Epic and Genesis, one is impressed with the numerous similarities between the two accounts. The common elements between the two have been perplexing for some scholars. Alexander Heidel shows the three main possibilities about the relationship between the two accounts: “first, the Babylonians borrowed from the Hebrew account; second, the Hebrew account is dependent on the Babylonian; third, both are descended from a common original.”1 Because the Epic written in Akkadian predates the Old Testament written in Hebrew, “The most widely accepted explanation today is the second, namely, that the biblical account is based on Babylonian material.”2 This theory poses an awkward problem for Christians. While the fact that there are flood legends like the Genesis Flood account in most cultures around the world is used to testify to the reliability of the Bible,3 the Gilgamesh Epic is used to deny the authority of the Bible because of its predating. According to the extant clay tablets, scholars reckon the time of the first compilation of the Epic in Akkadian around the second millennium B.C.4 Since there is a Sumerian version behind the Akkadian, the Epic is, “…upon any view of the date of the Book of Genesis, considerably older than the biblical narrative.”5 Therefore, it is important to explain the relationship between these two accounts. Thus, this thesis is the result of this writer’s commitment to the authority of the Bible and interest in flood traditions. Nozomi Osanai earned her M.A. writing “A comparative study of the flood accounts in the Gilgamesh Epic and Genesis” as her thesis while attending Wesley Biblical Seminary in the USA, where she also studied Akkadian. She has also studied at Japan College of Social Work, where she earned her Bachelor of Social Welfare, and Tokyo Biblical Seminary and Kobe Lutheran Theological Seminary where she earned her M.Div. 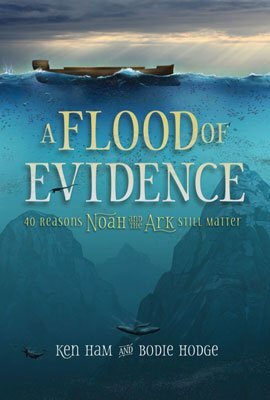 She graciously agreed to allow us to publish this on the Answers in Genesis website as a study helpful for refuting the claim that Noah’s Flood was derived from the Gilgamesh Epic. Alexander Heidel, The Gilgamesh Epic and Old Testament Parallels, University of Chicago Press, Chicago, 1949; paperback edition, p. 260, 1963. Alfred M. Rehwinkel, The Flood in the Light of the Bible, Geology and Archaeology, Concordia Publishing House, St. Louis, p. 127, 1951. E.A. Speiser, “The Epic of Gilgamesh,” in Ancient Near Eastern Texts Relating to the Old Testament, 3rd edition with supplement, James B. Pritchard (Ed. ), Princeton University Press, Princeton, 1969; renewed 1978, p. 73 (page citation is to the renewed edition). R. Campbell Thompson, The Epic of Gilgamesh: Text, Transliteration, and Notes, Clarendon Press, Oxford, 1930; reprint, AMS Press, New York, n.d.
Simo Parpola, The Standard Babylonian Epic of Gilgamesh: Cuneiform text, transliteration, Glossary, indices and sign list, State Archives of Assyria Cuneiform Texts Volume 1, The Neo-Assyrian Text Corpus Project, Helsinki, Finland, 1997. K. Elliger and W. Rudolph (Ed. ), Biblia Hebraica Stuttgartensia, Deutsche Bibelgesellschaft, Stuttgart, Germany, 1977. Holy Bible, New King James Version, Thomas Nelson Publishers, Nashville, 1979.